On August 22nd 1995 Oasis played at Club Chitta in Tokyo, Japan. Listen to a bootleg from the gig in the video below. On August 22nd 2005, Oasis released 'The Importance Of Being Idle' single. It was the bands eighth and final number one single on the UK Charts. 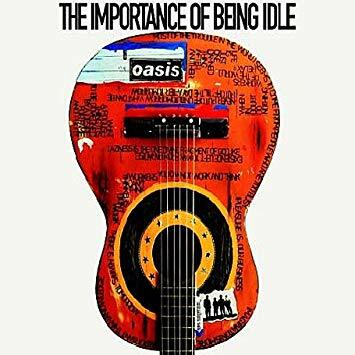 The video for Oasis' 'The Importance Of Being Idle' is based on the film and play Billy Liar with Rhys Ifans playing the role of Billy. The Gallagher's play Shadrack & Duxbury, the owners of the funeral parlour where Billy works. The rest of Oasis make appearances as workers playing cards in an undertaker's office. The video is similar in style and concept to the black and white 1966 music video for The kinks 'Dead End Street'. On August 22nd 2009 Oasis played their last ever gig at the V Festival at Weston Park, Stafford. This is the last bit of music that the band played live. Tony McCarroll on being in the crowd for Oasis' last ever gig at the V Festival on August 22nd 2009. "There are only two people in the world who attended Oasis’ first and last gigs. That’s Liam and my good self! I reckon that will make a great question in a pub quiz!" 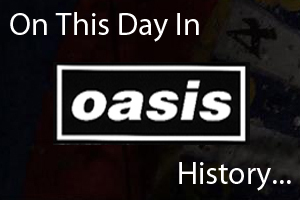 Listen to a bootleg of Oasis' last gig at the V Festival on August 22nd 2009 in the link below.